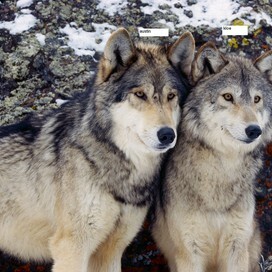 i like wolves and drawing.and i am 12 years old. Was the diving suit that far-fetched? I think the Diving Suit was a great invention made by Leonardo Da Vinci. But it was a pretty far-fetched idea Da Vinci had in his time. The idea for repelling and invading ships: Send men to the bottom of the harbor in diving suits and let them cut holes in enemy hulls. Doesn't sound so far-fetched now does it? In Da Vinci's time, however, the idea was unheard of. Da Vinci's divers carried breathing hoses connected to a floating bell full of air, wearing facemasks with glass goggles that would help them see underwater. These diving suits might actually have been constructed, except the invaders that were intended to repel were driven away by the Venetian Navy; before underwater sabotage became necessary. 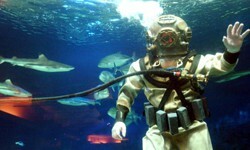 In another version of the concept, the divers would have breathed from wine bladders filled with air. 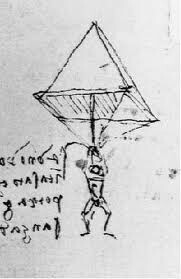 One of Da Vinci's first models of a parachute. It has a pyramid shape. 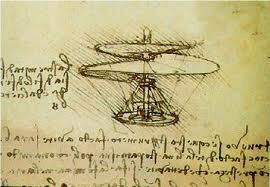 One of Da Vinci's first models of a parachute. It has a spiral shape. 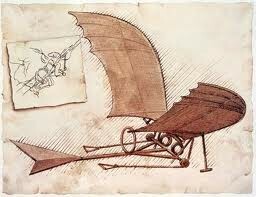 One of Da Vinci's first models of a parachute. It has a bird-like shape. The idea of a parachute is to reduce a person's terminal velocity and make a long fall survivable. Da Vinci, who was fascinated by the idea of human flight, conceived his parachute as a way for people to drift gracefully through the air. Its pyramid-shaped framework was draped with cloth. As Da Vinci wrote in his notebooks, it would allow a man "to throw himself down from any great height without suffering any injury." Twenty-first century attempts to build the design suggest that it would have worked pretty much as Da Vinci described.